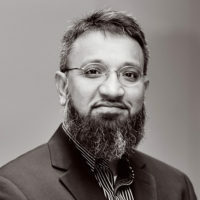 Altaf Husain serves as an Associate Professor and chair of the Community, Administration and Policy Practice concentration in the Howard University School of Social Work, in Washington DC. He has primary teaching responsibilities for the Displaced Populations field of practice specialization, which includes social work practice with immigrants and refugees. He holds a joint appointment as a Research Fellow in the Center for the Study of American Muslims and the Center for Global Health at the Institute for Social Policy and Understanding in DC. Dr. Husain received his Ph.D. in Social Work from Howard University and his M.S. in Social Administration with a specialization in Community Development and Non-profit Management from the Mandel School of Applied Social Sciences at Case Western Reserve University in Cleveland, Ohio. 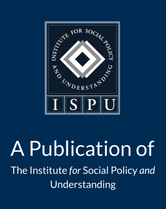 His research interests include displaced populations (homelessness, victims of disaster, immigrants and refugees), mental health and psychosocial well-being of adolescent immigrants and refugees of color in the U.S.; immigration policy and its impact on the family; cultural competence; and the development of social service agencies in the Muslim community. An invited lecturer on Islam and Muslims in the US, Dr. Husain has delivered keynote addresses on college and university campuses and communities throughout the US and Canada. His professional involvement includes serving as a co-chair of the Islam and Muslims track of the Annual Program Meeting of the Council on Social Work Education (CSWE), co-chair of the Race, Ethnicity and Immigration cluster of the Society for Social Work and Research (SSWR), and as a founding member of the CSWE Religion and Spirituality Working Group. Dr. Husain’s community involvement includes serving as Vice President of the Islamic Society of North America (ISNA), Vice President of the Yaqeen Institute for Islamic Research (YIIR) and a former two-term national president of the Muslim Students Association of the US and Canada. He also serves as an advisory board member of the Peaceful Families Project (PFP), dedicated to preventing domestic violence.